Today, 5 baby pigs joined our little homestead. 4 are black with a white stripe and one is reddish-brown. They were named Bacon, Ham, Pork Chop, Oink and Doink! 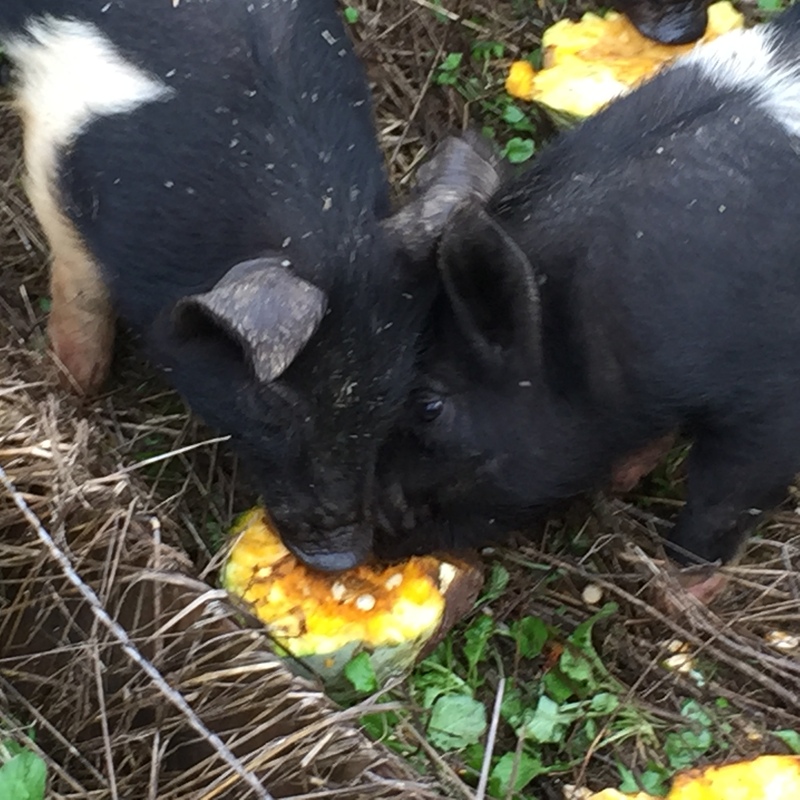 After getting them settled into their pen, Rob chopped up some Sweetmeat squash and fed them a tasty treat. Our garden produced many, many squash, and some did not mature fully. The pigs loved them! One of these pigs will fill our freezer when they are mature, and the remaining 4 are for other people. They will be fed on a diet of natural pig feed, supplemented with scraps of fruit and vegetables. These pigs are a Hampshire/York cross. They were advertised on Craig’s list and we had to drive an hour to get them, which wasn’t bad. Rob raised this kind one other time, and had good success, so he thought he’d try them again. Pigs are a good short-term meat project, since it only takes a few months to raise them to butchering size.